On paper, BenQ’s EX3203R looks like an ideal “sweet spot” for a large format monitor: 32” size, 1440p resolution, and 144Hz speed, and USB-C capability. But corners cut in the overall package and some poor ergonomic choices, plus low value, mean it’s a tough sell. 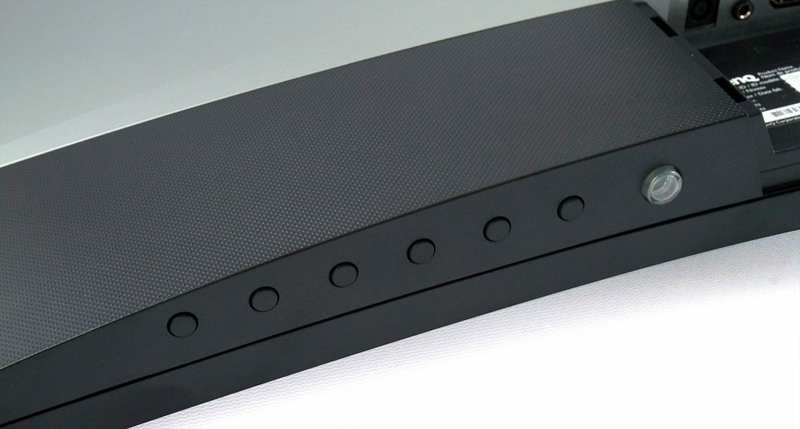 The monitor’s basic design and features are perfectly competent. 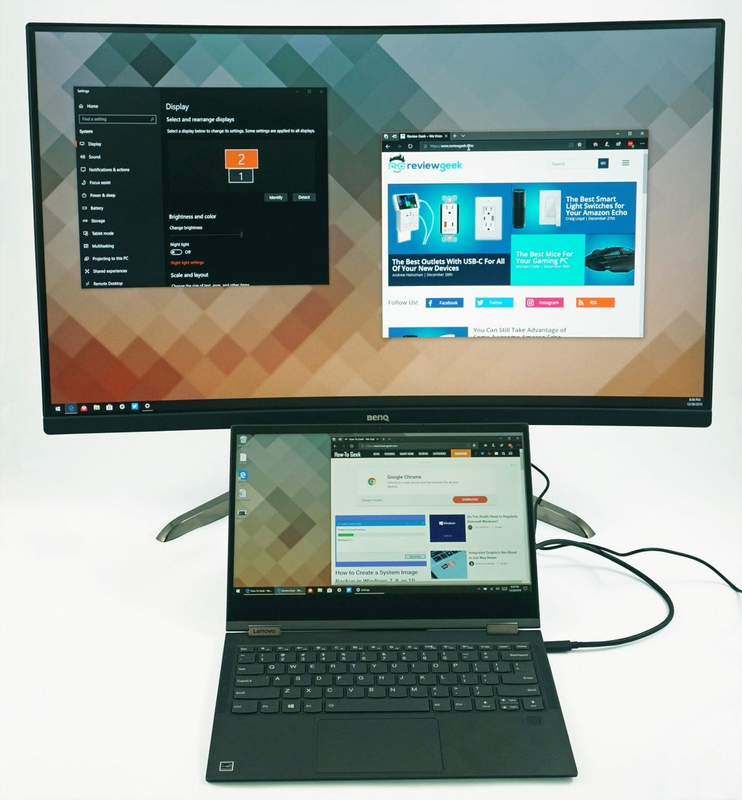 And the combination of very specific hardware means that it might be ideal for a subset of users who want a big, fast display that also works with a USB-C-only laptop. But anyone not in this cross-section of users would be better served by a competing model. 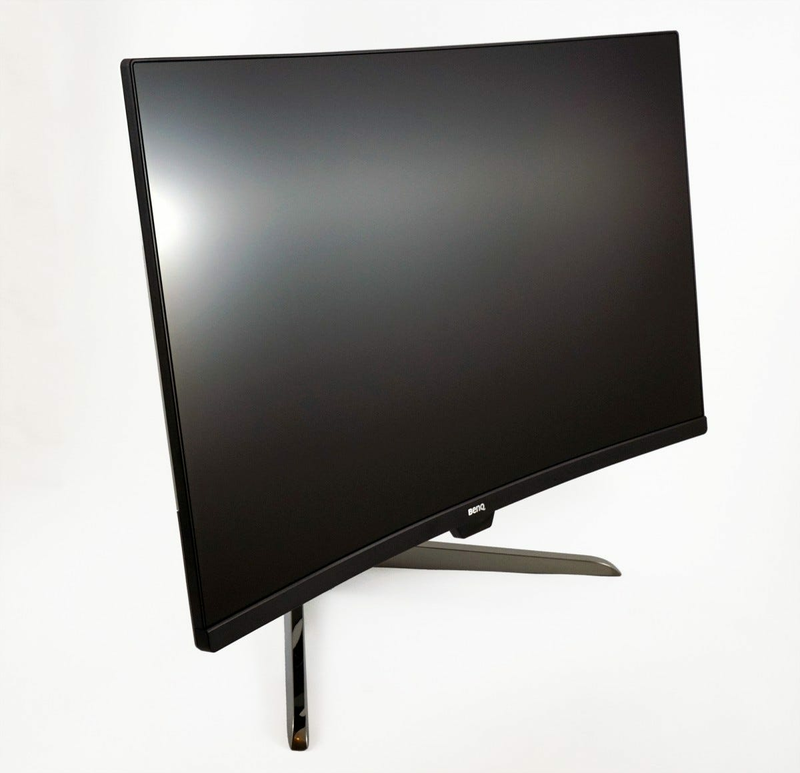 The EX3203R is a big, stylish monitor, combining a 32-inch VA panel with a 2560×1440 resolution. This size and density are ideal for a lot of people: it’s as big as you can fit on a normal computer desktop without veering into the more demanding (and expensive) range of ultra-wide designs. 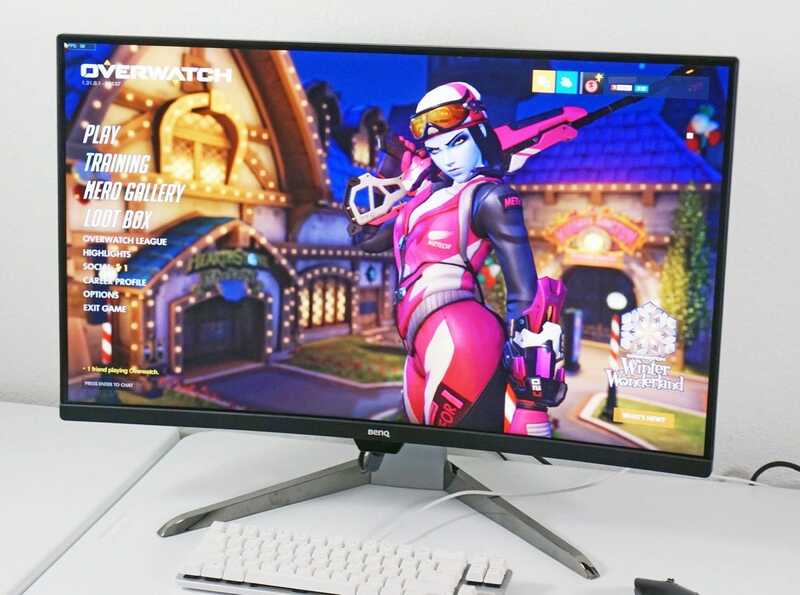 The 144Hz refresh rate and 4ms response time are very much intended to woo gamers hoping for a display that gives them a speed advantage, with more general users and media-focused creators being secondary markets. The monitor features double HDMI ports, DisplayPort, two standard USB 3.1 A-format ports, and audio out, but its headline specification is compatibility with USB-C. That port can handle Thunderbolt video at the monitor’s maximum resolution and refresh rates, as well as carry data (though less of it with the video maxed out) and enough power to charge up laptops like the MacBook. The spec sheet reads like an ideal display for a desktop gamer with an ultraportable machine on the side. 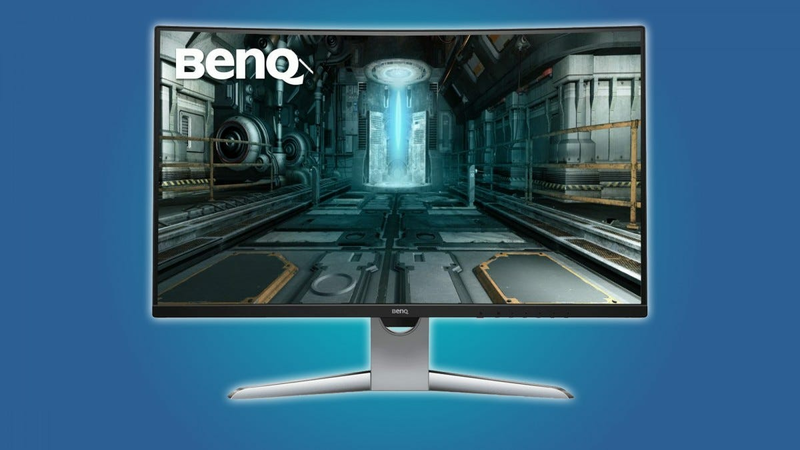 Other highlights of the design include a matte anti-glare screen with an 1800R curve, slim bezels of about a quarter-inch, and compatibility with AMD’s FreeSync 2. BenQ is quick to note support for HDR video and game playback and a strain-reducing mode that lowers the output of blue light. All of these points are positive, but the execution is lacking, at least when the $700 price point is taken into consideration. For that much money, you can get every feature listed above, minus the native USB-C connection, with a much more appealing and comfortable display. The EX3203R makes a striking impression at first, with its roomy panel, thin bezels, and surprisingly small case. But the positive initial reaction gives way to frustration upon setup. The first ding on the design is its use of an external power converter, adding a sizeable and heavy plastic brick to the crowded rear of my desk. No other monitor I’ve used in this size class needed anything except a standard PC power cable. Getting the monitor connected to my test desktop was an immediate hassle. While the rear panel isn’t particularly complex, its position near the very bottom of the rear case means it’s impossible to see clearly without laying the display flat. Unless you’re very good with your fingers, you’ll have a hard time getting used to its configuration. I tried to turn the monitor vertical for a better view, only to discover that the included stand doesn’t support a vertical layout. In fact, the stand only allows for two adjustments: a slight tilt forward or backward and about four inches of rising or lowering. With the included stand sitting quite low even for such a big screen, taller users or those with a standing desk will want to use a VESA mount and a third-party stand. 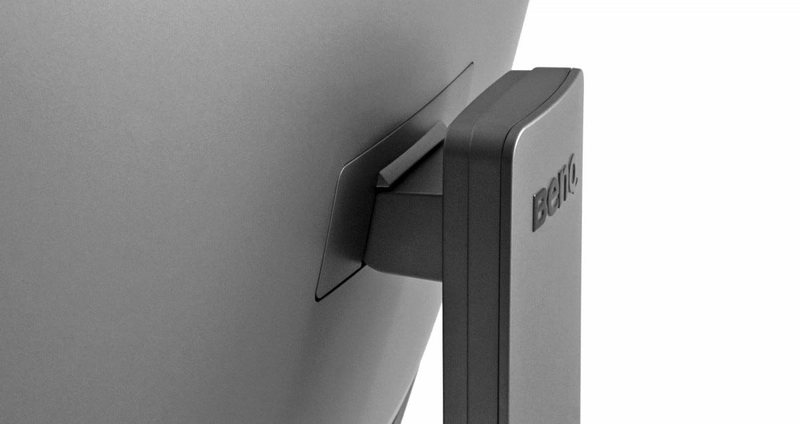 Which will be a frustrating desire, since the EX3203R doesn’t support a VESA mount. At least not out of the box: BenQ’s documentation and the manual say an adapter plate is available, but it requires a separate purchase and a cumbersome installation. Since A) other monitors in this size and price range are either VESA-compatible or include a necessary adapter in the box, and B) said adapter is a $40 add-on purchase for an already-expensive display, it’s a big negative for this model. For a premium display catering to professionals and enthusiasts, that’s a huge let-down. The monitor’s image quality is good, matching other high-end VA panels I’ve used. The lighting from the LED panel is even, only showing a bit of shadow on the left and right edges on brighter backgrounds, and performing especially well with darker videos thanks to a native contrast of 3000:1 and 400 nits of brightness. The panel is neither as accurate as a good IPS monitor nor as fast as the fastest TN panel, offering an acceptable balance between the two. Extra features include picture-in-picture display and a light sensor for automatically adjusting the panel based on ambient brightness and color temperature. However, with the eye strain-saving feature activated, the panel quickly overcompensated for a dark room, making me squint to see the text in the editor window as I wrote these very words. The sensitivity of this can be adjusted, but it seemed to make little difference. Manually adjusting the brightness, or simply relying on a feature like Windows’ Night Light, is much more comfortable and less distracting. With a review laptop boasting nothing but USB-C I was eager to try out the EX3203R’s similar connection and thrilled to find that the monitor eagerly accepted video, audio, and data from a single cable. It likewise supplied my ultraportable laptop with enough power to charge it at full speed. Finally, the dream of a single plug-in connection is a reality! Well, sort of. While taking advantage of the USB-C connection for video I loaded up a rental of Iron Man on VUDU’s Windows Store app, so I could test it at full resolution—the web player only goes up to 720p. I was dismayed to find that the video refused to play on the monitor, claiming an HDCP (copy protection) error. I moved the video down to the laptop’s screen, where it played perfectly. I re-tested the video on a desktop with DisplayPort and HDMI, and both worked fine. Discouraging, to be sure. Now I can’t definitely say that the problem lies with the BenQ monitor. 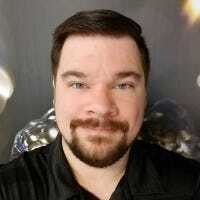 Between the monitor, the VUDU Windows app, Windows itself, and the notoriously fickle HDCP standard, there are a lot of (entirely figurative) moving parts. But since BenQ lists the EX3203R as compatible with the latest HDCP 2.2 protocol, and makes no exception for USB-based video, I can’t help but be disappointed by this performance. The monitor’s on-screen menu system is likewise disappointing. Four buttons cover five main menu items, “Display,” a redundant “Picture,” an even more redundant “Picture Advanced,” a barely-there “Audio,” and a nebulous “System.” While you can find everything you need inside, there’s not much logic to the layout, and many of the features need a quick Google search to discover the particular acronym BenQ chose to apply. After the surprisingly effective and gamer-friendly menu and joystick setup from a Samsung monitor in the same size, feature, and price range as this one, it’s another lower-than-average performance. Gamers will find the EX3203R adequate. 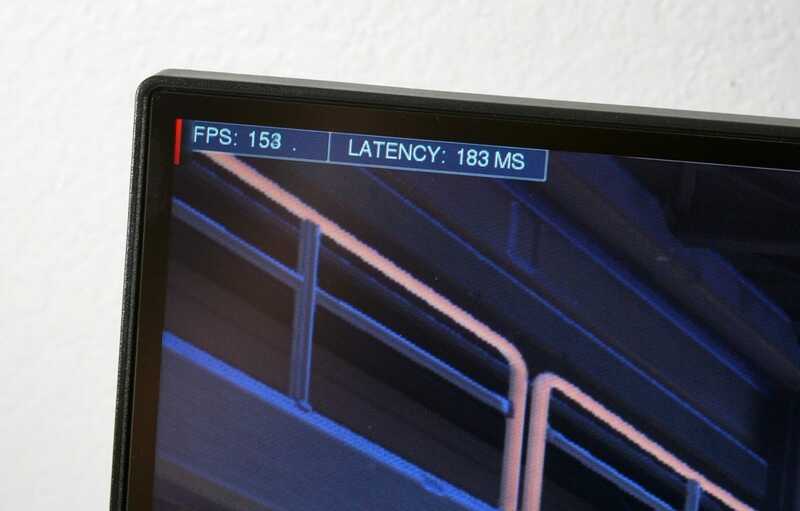 Its 144Hz refresh rate works as advertised, offering silky-smooth framerates if your PC can push it that high. And if it can’t (and if you’re using a frugal AMD-built GPU), FreeSync 2 will keep your screen from tearing on partial frame refreshes. NVIDIA’s G-Sync support isn’t present, but that’s a rare feature generally only found in even more expensive displays, so there’s no real loss here. What’s more frustrating is a lack of options between the standard 60Hz and the much faster 144Hz. 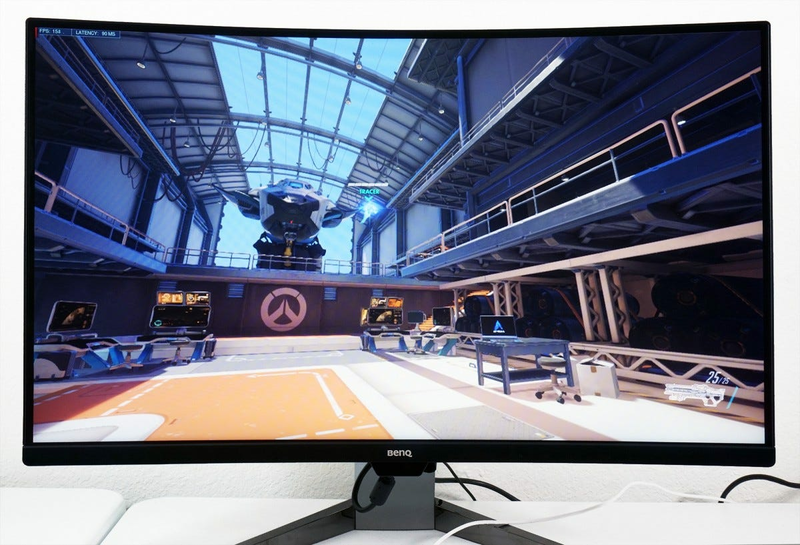 Many gaming monitors offer 75, 100, and 120Hz steps in between, allowing gamers to aim for a little give-and-take with their framerates, brightness, and color quality. Not so here: it’s all or nothing, and let Freesync handle any discrepancies. There are a lot of complaints in this review, but aside from the VESA and HDCP issues, they’re mostly minor. But heap them all on top of a $700 MSRP (currently going for around $600 on Amazon), and you have a monitor with too many problems and too high a price to recommend. If you’re desperate for a display that can serve both a speed freak gaming PC and a USB-C-only mobile machine at the same time, the EX3203R might be your only option. But anyone else would be better served by either a more dedicated gaming monitor, with a more flexible menu system and mounting options, or a relatively cheap USB-C dock with video capabilities. 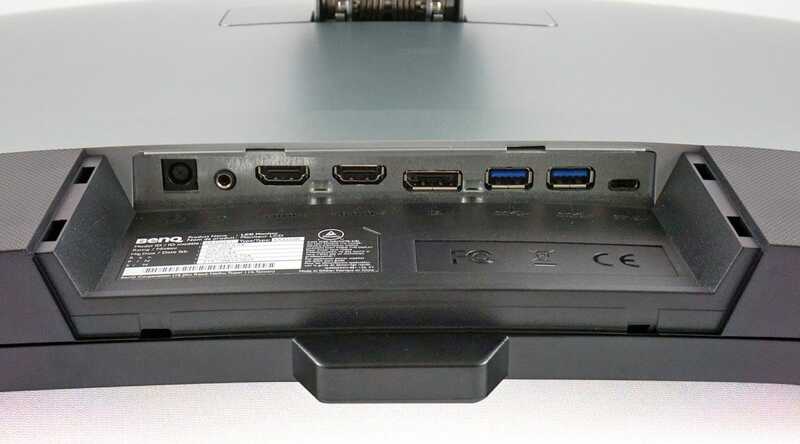 Failing that, wait for USB-C to become more widespread, so the aforementioned HDCP problems become less common as more monitors include the connection by default. Last year, Apple announced two new iPhone models; the iPhone XS and the iPhone XR. While the XS costs $250 more, it’s entirely worth spending that extra cash to get the XS instead of the XR. Here’s why.